HEROIN has been found close to a primary school in the Colin area. The heroin ‘wrap’ was found outside Good Shepherd Primary School in Poleglass by an IRSP activist and handed over to Daily Belfast yesterday (Monday). 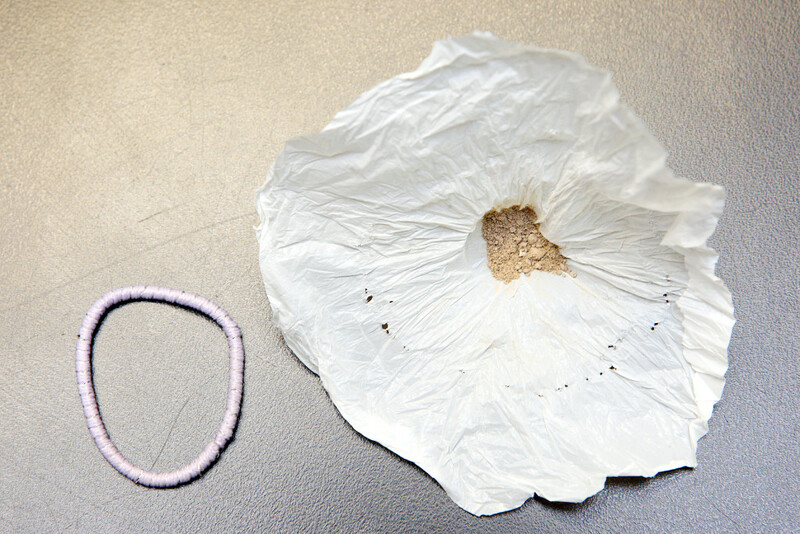 The small paper pouch containing the deadly Class A drug was tied together by a bobble. IRSP spokesperson Gerry Foster told Daily Belfast that the wrap easily have been picked up by children in the area. “These drugs were handed into the IRSP office on Friday,” he said. “It is my understanding that those who are taking these drugs are now starting to smoke it instead of injecting it so as to not puncture their skin with needle marks. “Luckily the school was off on mid-term break. If a school child had found this heroin the result could’ve been very, very different. The recklessness of those who are dealing these drugs knows no bounds. They care nothing about our community – only the profits. To bring heroin into our community and then to so carelessly leave it close to a primary school and local shops is a danger to all.